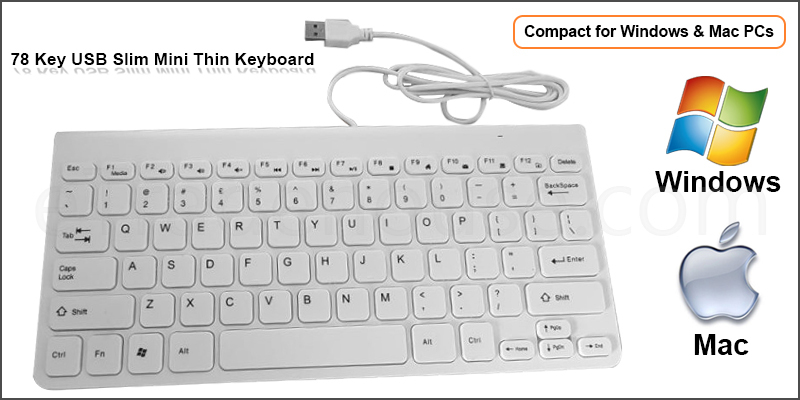 Mini Slim 78 key USB Wired keyboard is a perfect choice for PC or notebook users to carry it out. The mini design takes less space and allows you to use the mouse comfortably next to the keyboard. It is easy to get used with these crisp, responsive low profile keys since the keys are basically the same size with normal keyboard. You can just simply plug this mini keyboard into the USB port and start typing.